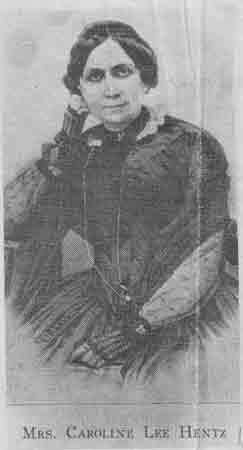 Caroline Lee Whiting Hentz (1800–1856) was an American novelist and author, most noted for her opposition to the abolitionist movement and her widely-read rebuttal to the popular anti-slavery book Uncle Tom's Cabin. She was a major literary figure in her day, and helped advance women's fiction. Caroline Hentz in her everyday life was almost identical to her pro-abolitionist adversary Harriet Beecher Stowe. Both of these Nineteenth Century women hailed from Massachusetts, both married unsuccessful men, and taught beside them. Both ladies had moved to Cincinnati, Ohio, in 1832, where they became personal friends. To further the similarities for these opposing leaders in the abolitionist movement, both became major nationally known authors of popular fiction. In 1824, Caroline Whiting married Nicholas Marcellus Hentz. During the early 1830s, Hentz and her husband, along with their three children, moved to North Carolina. 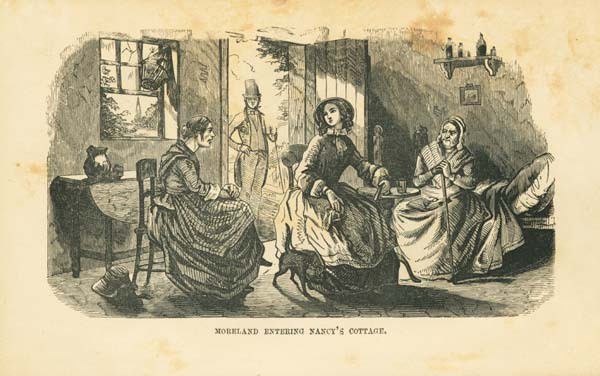 “The Planter’s Northern Bride,” published in 1854 in Philadelphia, would be Hentz’s last published and most widely known work before her death two years later. In this body of work, Caroline Hentz came to the definitive defense of slavery. Hentz used her expertise, having lived for many years in the South, to claim that she was more knowledgeable about slavery than Stowe. Hentz wrote about the caring relationship between master and slave, a Southern opinion on slavery that strongly contrasted with the New England-bred Stowe's characterization of the institution. Hentz introduces in this novel several villains, including a busybody who tries to free slaves against their will. In doing this, she tries to discredit the abolitionist argument of inhumane treatment of the Southern slaves. She portrays the people wanting to tear down the institution of slavery as actually being motivated by personal gains, not by a desire to improve mankind. She expanded on this motivation to include the industrial revolution that was taking place in the North, which would require the massive amounts of cheap labor that only the south could give by way of slavery. Hentz resided towards the end of her life in Marianna, Florida. She is buried there in the cemetery of St. Luke's Church.